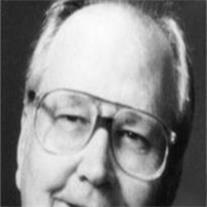 WENDELL WEBB GARDNER, 83 of Mesa, Arizona died March 18, 2010. Born March 21, 1926 to Franklin Beebe and Tina Webb Gardner, in Holbrook, Az. Viewing will be held Thursday, March 25, at Bunker’s Garden Chapel, 33 N. Centennial Way from 6 to 8 p.m. Services are Friday, March 26, at the Church of Jesus Christ of Latter Day Saints, 2228 E. Brown, Mesa, AZ at 11a.m. He died after a valiant battle from the effects of diabetes and its severe complications. Burial is in Snowflake, AZ Saturday, March 27 at 11 a.m. He graduated from Holbrook High School, served 2 years in the Navy, graduated from Gila Jr. College served a 2 year LDS Central States Mission, graduated from ASU, and retired after 29 years from Western Savings and Loan as Vice President Internal Auditor. Church service includes, Seminary Teacher, Bishop, High Council, Boy Scouts, and many other callings. Married NaDeen Cluff (deceased), children Gai, Bryant (deceased), Karen, Gary David, Mark, 22 grandchildren, 26 great-grandchildren. Married Carol Roberts Sien, step-children Beth, John (deceased), Robert, Susan, Richard, Joseph, 21 step-grandchildren, 4 step-great-grandchildren. Wendell is also survived by his brother Leo Dean Gardner. Family suggests a donation to Hospice of the Valley in lieu of flowers.